Being fully present with your clients is the most fulfilling experience you can have in the treatment room. When you are one-on-one with your client, your energy fields are commingling. How mindful you are of your client’s energy and how you manage your personal presence may determine if your client rebooks a next session with you, purchases products or even whether or not they give you a positive online review. The easiest way to explain presence is to explain what it means to not be present. This is the state to which we have become accustomed. When you aren’t being present, your mind is pulled into the past, the future or both. Your thoughts of the past are what could have been or what you thought happened versus what actually did happen. Your thoughts of the future are what will be, what could be or what might be. When most of us are in the treatment room with our clients, we worry about what’s happening at home, what we are going to make for dinner, who is picking up the children or what we will do with our time off. We don’t practice stillness with our clients and appreciate being fully present because our “monkey minds,” as Buddhists call them, vault from thought to thought like monkeys swinging from tree to tree. Of course, it is natural to spend moments of thought in the past or in daydreams of the future. Identifying through associations with things that have happened in the past can be used as learned points of reference. Our thoughts can be pleasurable memories that lift our spirits or they can be signals to keep us safe in stressful, even potentially harmful situations. However, when our lives become dictated by these thoughts and the emotions attached to past events and potential future outcomes, we are not living and being fully in the present. Unfortunately, our clients can feel when our attention is somewhere else. The present moment lies in the concept of time. The present is a vertical dimension in the moments of time called “the now.” When you center yourself in the present moment, the mind stops making noise and you focus more fully on what is happening now. You are able to connect with your deeper self and become more alive and awake to what’s happening in the moment. Living in the moment, also called mindfulness, is a state of active, open, intentional focus on being in the present. When you become mindful, you realize that you are not your thoughts; you become an observer of your thoughts from moment to moment without judging them. You are noticing your thoughts and being with your thoughts as they are, instead of being a victim of your thoughts and emotions tied to those thoughts. You can’t feel the past or the future, but you can feel what it feels like to touch something right now, to see something and to hear something in the present moment. Awakening to your life’s present experience brings fulfillment and joy in everything you do. Being present in the moment is when we feel “presence” and connection to ourselves, life and others. The only true reference point we have to what we call existence is a feeling of presence, of being here in this body, of seeing the world through these eyes right here and right now. The power of presence provides many valuable benefits such as: reduced stress, increased immune function, lower blood pressure and may even reduce chronic pain. Spending a few minutes a day actively focusing on living in the moment helps us to be happier, more exuberant, more empathetic and more secure. We experience higher self-esteem and become more accepting of others habits or ways of being that are different than ours. Anchoring awareness in the here and now reduces impulsive reactions and fear. Mindful people can hear negative feedback without feeling threatened; they are less defensive and look at their life circumstances through the lens of curiosity about what they are to learn and grow. When you live in the present, you are living where life is happening. The past and future are illusions, because they don’t exist. As the saying goes “tomorrow never comes.” Tomorrow is only a concept always waiting around the corner, but tomorrow never comes because time is always in the now. If you’re not living in the present, you’re living in an illusion. This seems to be a good enough reason to live in the present, doesn’t it? But how often are you worrying about things that have yet to come. How often do you beat yourself up for mistakes that you’ve made, no matter how much time has passed? The answer is too much. Not only will living in the present have a dramatically helpful effect on your emotional and physical well-being, but it can also have a positive impact on your financial success. If you’re living in the present, you’re living in acceptance. You’re accepting life as it is now, not as how it could, would or should have been. When you’re living in acceptance, you realize everything is complete. You can forgive yourself for the mistakes you’ve made, and you can have peace in your heart knowing that everything that happens is happening for you not to you. Opportunities for success open for you because you’re free mentally to focus on the life you want and deserve to have. Your goals are working on you as you are working on them. You achieve your vision for your life as if by magic in greater abundance than you ever dreamed possible. As an avid student of how to live fully in the present moment while at the same time accepting my past and setting large goals for my future, my opinion on why it is so difficult to live in the present is the reality that we have the ability to notice the passing of time. This illusion produces great anxiety because we are constantly looking back at the past and unwisely thinking we can control the future. This is a huge distraction from being in the present. I also believe that the biggest reason we don’t live in the present is because we don’t stop the chatter in our minds. 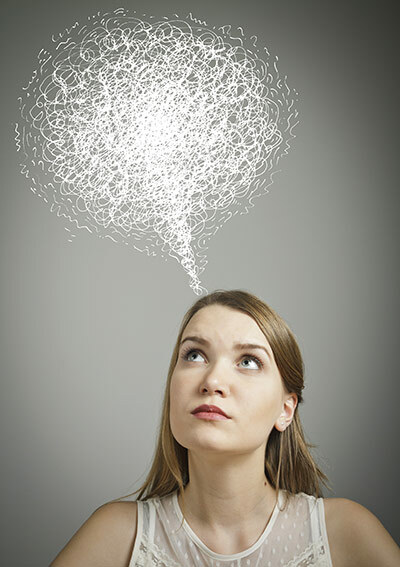 We are constantly talking to ourselves, and much of the time this self-talk is not so positive. If you are always talking, if even to yourself, you never fully hear what anyone else has to say. You’re never truly listening but only waiting to speak your thoughts and the stories you’ve created about your world. Curiosity about another person who just might be your client doesn’t even occur for you because your mind is too busy thinking about something else other than providing the ultimate service to the client right in front of you. This is a one-sided way of being in a relationship with clients and is most certainly not the way to be joyful and fulfilled working in your treatment room. To live in the present moment, you don’t have to give up connecting with your clients through talking about your credentials and sharing your personal journey of how you came to be in the spa business. We are not robots: we are human beings with thoughts, emotions and life experiences to share. In fact, I highly suggest that you tell your professional story for the purpose of inspiring your clients. However, it is essential that you come from a place of mindfulness, centered within yourself, listening to your clients and responding to them by speaking and acting in a way that they will remember how you made them feel. Follow these simple tips to having presence and creating a deeper connection between you and your clients that just might lead to an increase in productivity and revenue for your practice. 1. Don’t try to quiet your mind. When we try to quiet the mind, we just disturb it more. Instead, simply witness your thoughts without judgment. Simply witness your thoughts as if they are a movie playing across your mind screen and let them go whereever they go once they pass your screen. 2. Know who you are. Most of the time we really believe we are the dialogue inside our mind. The truth is, you are much more than your thoughts. You are an energetic, spiritual essence that moves through your mind and body. Knowing this can help you overcome your fear of quietness. It truly is possible to experience peace knowing that when your mind is quiet, you are more in touch with yourself. 3. Breathe. As you focus your attention on your breath, you’ll notice that conscious breathing is both voluntary and involuntary. It is something that you do, but at the same time something that does you. When you focus your attention on your breath, you come back into the present. I always practice conscious breathing during my treatments and especially before I enter the treatment room to center myself and become present to the reverence and honor of laying my hands on another human being. Practice conscious breathing to bring your mind into the present. In this moment, you can stop reading and simply pay attention to your breath and realize a deeper connection to yourself and how my words are affecting you in this moment. 4. Meditate to music. There is a lot of music made to assist with quieting the mind. My personal favorite though is Stan Richardson’s Japanese flute music. Every time I play it, I can feel its peaceful energy wash over me. 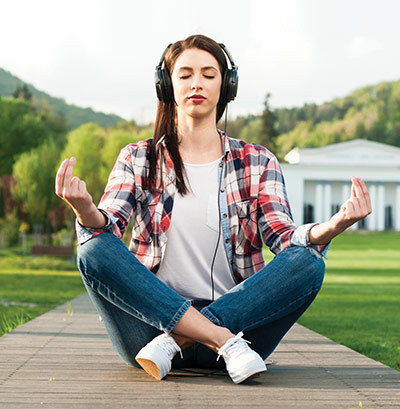 Music made for meditation can help bring your attention back to the present and clear your mind. 5. Practice presence. Presence is a mindfulness practice. When you practice mindfulness in all your actions, you are more aware and centered, living in the here and now. Practice presence in your treatment room and watch your book fill with happy clients waiting to be in your presence. Reach your fullest potential by practicing presence in the treatment room. You will better serve your clients and ultimately yourself. 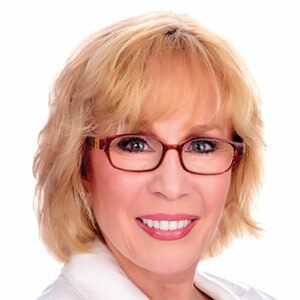 Lyn Ross, L.M.E., has 38 years of experience in the professional skin care industry and is the founder of Institut’ DERMed Clinical Skin Care, Institut’ DERMed College of Advanced Aesthetics and the Institut’ DERMed Clinical Skin Care Sales Success System. She has authored two books as well as contributed hundreds of articles to industry magazines.